"In essence, we are making a virtual telescope with a mirror that is as big as the Earth." On Wednesday, Jan. 18, astronomers, physicists and scientists from related fields will convene in Tucson, Ariz. from across the world to discuss an endeavor that only a few years ago would have been regarded as nothing less than impossible. The conference is organized by Dimitrios Psaltis, an associate professor of astrophysics at the University of Arizona's Steward Observatory, and Daniel Marrone, an assistant professor of astronomy at Steward Observatory. 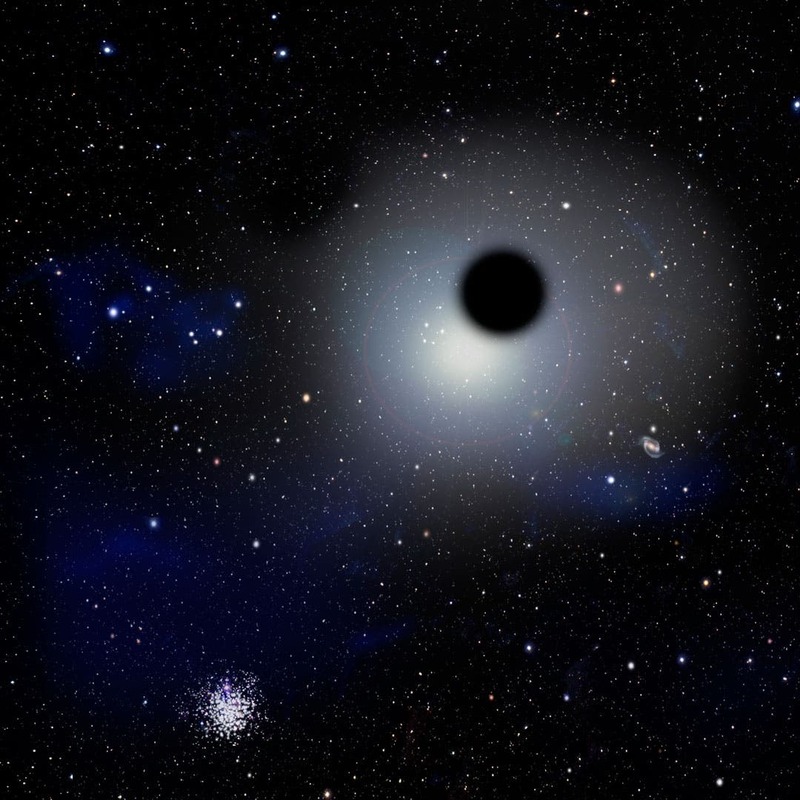 "Nobody has ever taken a picture of a black hole," Psaltis said. "We are going to do just that. ""Even five years ago, such a proposal would not have seemed credible," added Sheperd Doeleman, assistant director of the Haystack Observatory at Massachusetts Institute of Technology (MIT), who is the principal investigator of the Event Horizon Telescope, as the project is dubbed. "Now we have the technological means to take a stab at it. "First postulated by Albert Einstein's Theory of General Relativity, the existence of black holes has since been supported by decades' worth of observations, measurements and experiments. But never has it been possible to directly observe and image one of these maelstroms whose sheer gravity exerts such cataclysmic power they twist and mangle the very fabric of space and time. "Black holes are the most extreme environment you can find in the universe," Doeleman said.The field of gravity around a black hole is so immense that it swallows everything in its reach; not even light can escape its grip. For that reason, black holes are just that –emitting no light whatsoever, their "nothingness" blends into the black void of the universe.So how does one take a picture of something that by definition is impossible to see? "As dust and gas swirls around the black hole before it is drawn inside, a kind of cosmic traffic jam ensues," Doeleman explained. "Swirling around the black hole like water circling the drain in a bathtub, the matter compresses and the resulting friction turns it into plasma heated to a billion degrees or more, causing it to 'glow' – and radiate energy that we can detect here on Earth. "By imaging the glow of matter swirling around the black hole before it goes over the edge of the point of no return and plunges into the abyss of space and time, scientists can only see the outline of the black hole, also called its shadow. Because the laws of physics either don't apply to or cannot describe what happens beyond that point of no return from which not even light can escape, that boundary is called the Event Horizon. "So far, we have indirect evidence that there is a black hole at the center of the Milky Way," Psaltis said. "But once we see its shadow, there will be no doubt. "Even though the black hole suspected to sit at the center of our galaxy is a supermassive one at four million times the mass of the Sun, it is tiny to the eyes of astronomers. Smaller than Mercury's orbit around the Sun, yet almost 26,000 light years away, it appears about the same size as a grapefruit on the moon." To see something that small and that far away, you need a very big telescope, and the biggest telescope you can make on Earth is to turn the whole planet into a telescope," Marrone said.To that end, the team is connecting up to 50 radio telescopes scattered around the globe, including the Submillimeter Telescope (SMT) on Mt. Graham in Arizona, telescopes on Mauna Kea in Hawaii and the Combined Array for Research in Millimeter-wave Astronomy (CARMA) in California. The global array will include several radio telescopes in Europe, a 10-meter dish at the South Pole and potentially a 15-meter antenna atop a 15,000-foot peak in Mexico. "In essence, we are making a virtual telescope with a mirror that is as big as the Earth," Doeleman said. "Each radio telescope we use can be thought of as a small silvered portion of a large mirror. With enough such silvered spots, one can start to make an image." "The Event Horizon Telescope is not a first-light project, where we flip a switch and go from no data to a lot of data," he added. "Every year, we increase its capabilities by adding more telescopes, gradually sharpening the image we see of the black hole." One crucial and eagerly expected key element about to join Event Horizon's global network of radio telescopes is the Atacama Large Millimeter Array, or ALMA, in Chile.Comprising 50 radio antennas itself, ALMA will function as the equivalent of a dish that is 90 meters in diameter, and become what Doeleman called "a real game changer." "When ALMA comes online, it will double our resolution. ""The EHT will bring us as close to the edge of a black hole as we will ever come," the participating scientists wrote in a project summary. "We will be able to actually see what happens very close to the horizon of a black hole, which is the strongest gravitational field you can find in the universe," Psaltis said. "No one has ever tested Einstein's Theory of General Relativity at such strong fields. "General Relativity predicts that the bright outline defining the black hole's shadow must be a perfect circle. According to Psaltis, whose research group specializes in Einstein's Theory of General Relativity, this provides an important test. "If we find the black hole's shadow to be oblate instead of circular, it means Einstein's Theory of General Relativity must be flawed," he said. "But even if we find no deviation from general relativity, all these processes will help us understand the fundamental aspects of the theory much better. "Black holes remain among the least understood phenomena in the universe. Ranging in mass from a few times the mass of the Sun to billions, they appear to coalesce like drops of oil in water. Most if not all galaxies are now believed to harbor a supermassive black hole at their center, and smaller ones are scattered throughout. Our Milky Way is known to be home to about 25 smallish black holes ranging from 5 to 10 times the Sun's mass. "What is great about the one in the center of the Milky Way is that is big enough and close enough," Marrone said. "There are bigger ones in other galaxies, and there are closer ones, but they're smaller. Ours is just the right combination of size and distance." 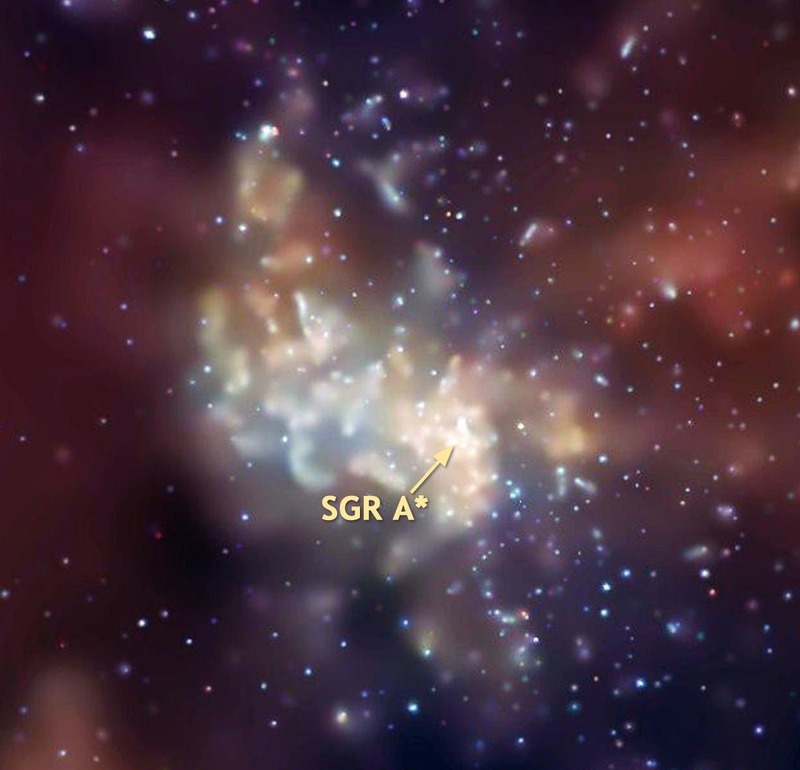 The reason astronomers rely on radio waves rather than visible or infrared light to spy on the black hole is two-fold: For one, observing the center of the Milky Way from the Earth requires peering right through the plane of the galaxy. Radio waves are able to penetrate thousands of light-years worth of stars, gas and dust obstructing the view. Secondly, combining optical telescopes into a virtual super-telescope would not be feasible, according to the researchers. Only very recent technological advances have made it possible to not only record radio waves at just the right wavelengths where they don't interfere with water vapor in the atmosphere but also to ensure the ultra-precise timing necessary to combine observations from multiple telescopes thousands of miles apart into one exposure. Each telescope will record its data onto hard drives, which will be collected and physically shipped to a central data processing center at MIT's Haystack Observatory. "This is not only the usual international conference where people come from all over the world because they are interested in sharing their research," Psaltis said. "For the Event Horizon Telescope, we need the entire world to come together to build this instrument because it is as big as the planet. People are coming from all over the world because they have to work on it."